What an awesome first for today. My good friend Garen and I met for lunch at a new pizza restaurant in Joplin. We looked forward to catching up on each other’s journeys. And we were curious about this new place. It promised to be an interesting meeting! 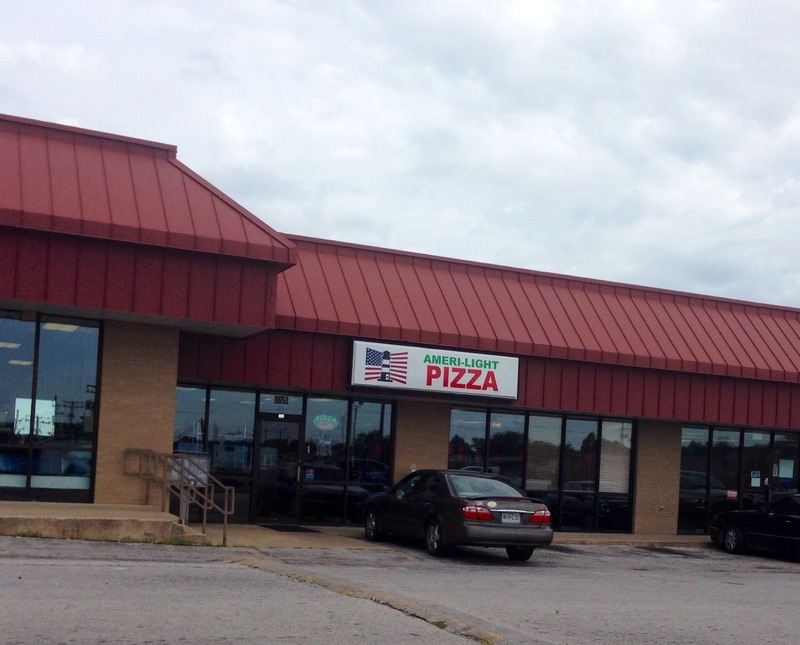 Located at 1651 W 7th, Suite 8, near the Maiden Lane and 7th Street intersection, Ameri-Light Pizza is so much more than a place to grab lunch or dinner. Opened by Juliet Hardy, director of Guiding Light Ministries, Ameri-Light Pizza was created to provide a place of employment for women whose lives are being transformed by the ministry. Juliet, who has directed GLM for the past seven years, first created a residential treatment program for women recovering from addictions. Women moving into a care home can make a 6-12 month commitment to bring about tangible change in their lives. They learn to love themselves and in the process become responsible and productive members of the community. Juliet then opened a thrift store to help with the needs of the ministry and 8 weeks ago launched Ameri-Light Pizza to further support the women who are part of the program and help defray the costs of the ministry. All the employees are women who are going through the treatment program. The idea was to provide a source of income that these women would not otherwise have. Garen and I were impressed, with the concept and with the food and service. We shared a Chicken Alfredo Pizza that was delicious. Also available is a pizza buffet and salad bar. We were also impressed with Juliet, who stopped by our table to make sure our meal was all that we hoped it would be. And when we asked her to, she shared her remarkable story. It was immediately apparent that Juliet is passionate about life and serving others. With her permission I can share that Juliet knows about the miraculous because she herself is a miracle. Born into addiction, she survived for a time as a prostitute. She was beaten, robbed and left on the street for dead. And then, as she says, things got bad! She is now a trophy of grace. And she shares that grace with others as the director of Guiding Light Ministries. She cares about others and isn’t afraid to put actions behind her words, creating transformation and a renewed life for others, with God’s divine help. And she makes a fine pizza! I’ll be a regular at Ameri-Light Pizza.